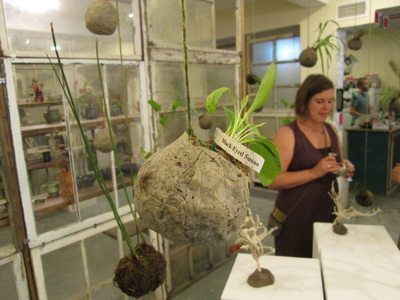 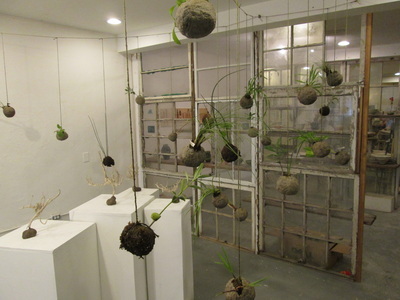 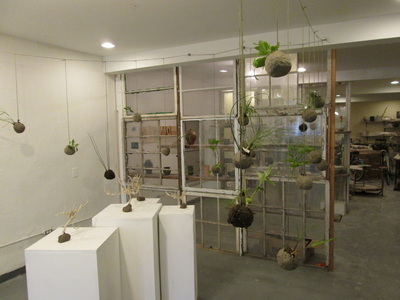 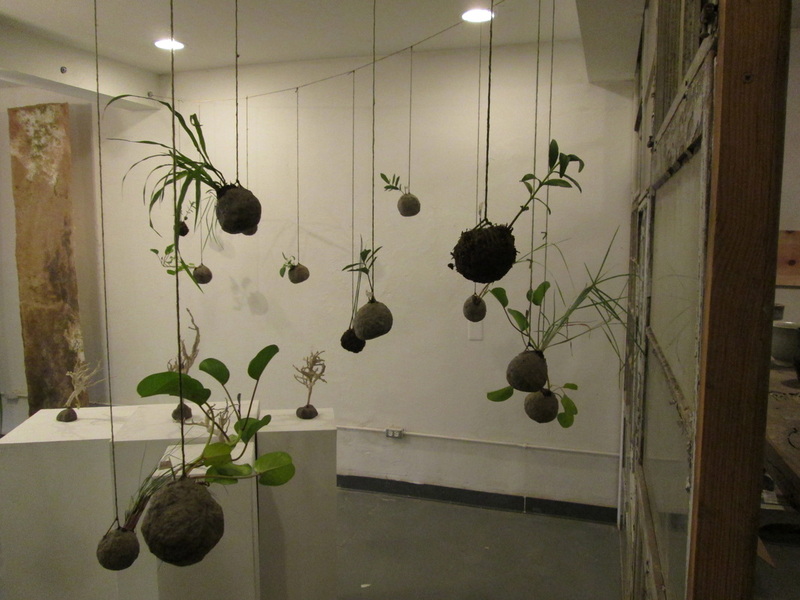 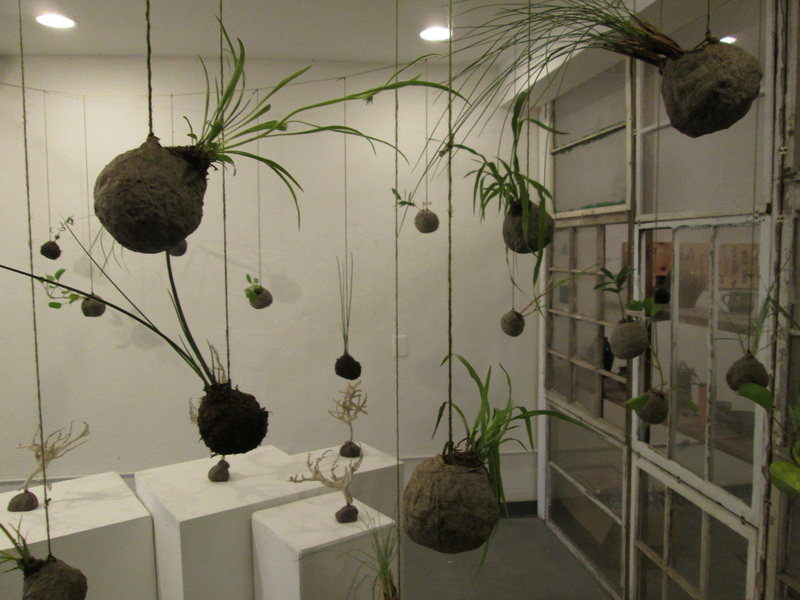 Kokedama in your landscape, New Orleans was inspired by a desire to spread information about Louisiana’s native plants to the local community. Participants of this project create art through interaction, by cutting down one of the plants and taking it back into their landscape. 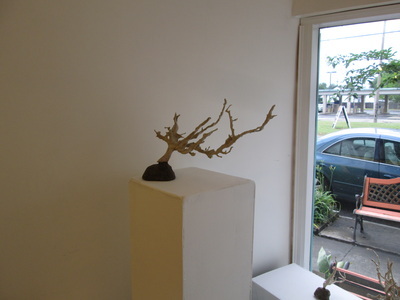 In return for this plant I only ask that you care for it and email me a photograph of the plant in its new home and location coordinates, which will in turn be mapped and displayed on this website. 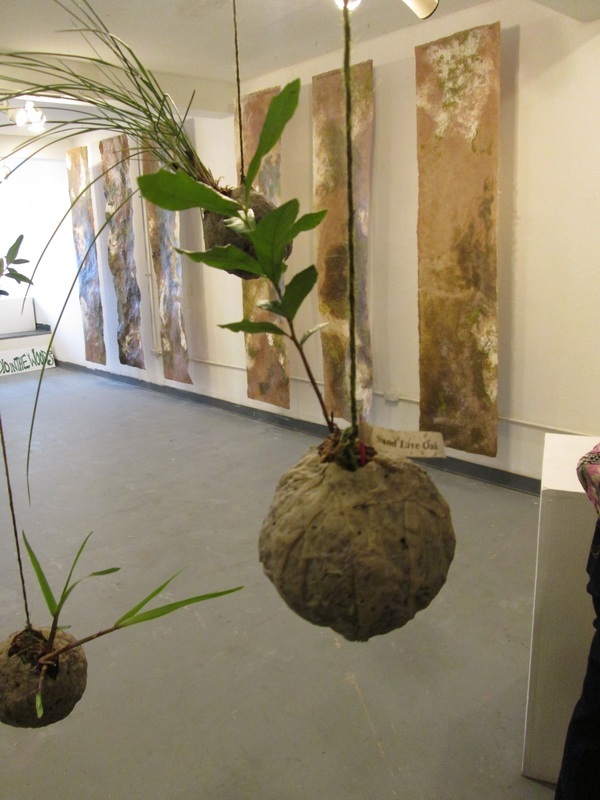 All of the plants used for this invasion of Native flora into the landscape were donated in kind by the Bayou Land RC&D Council as part of the Louisiana Native Plant Initiative. 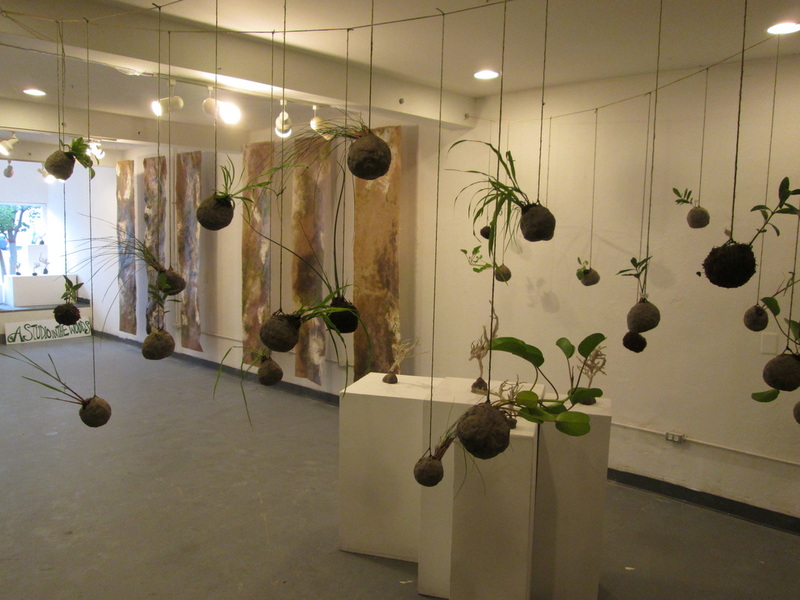 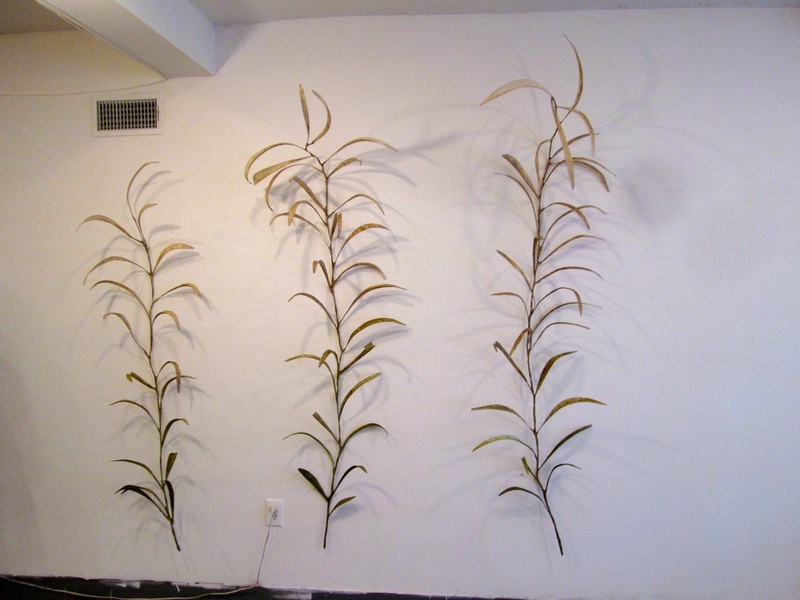 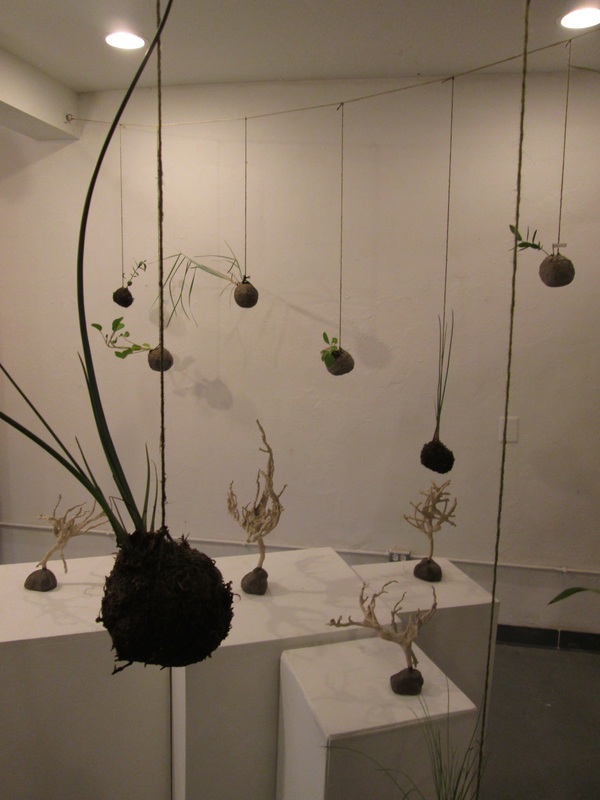 This installation was part of the exhibition berlanderi : in the Balize Delta. 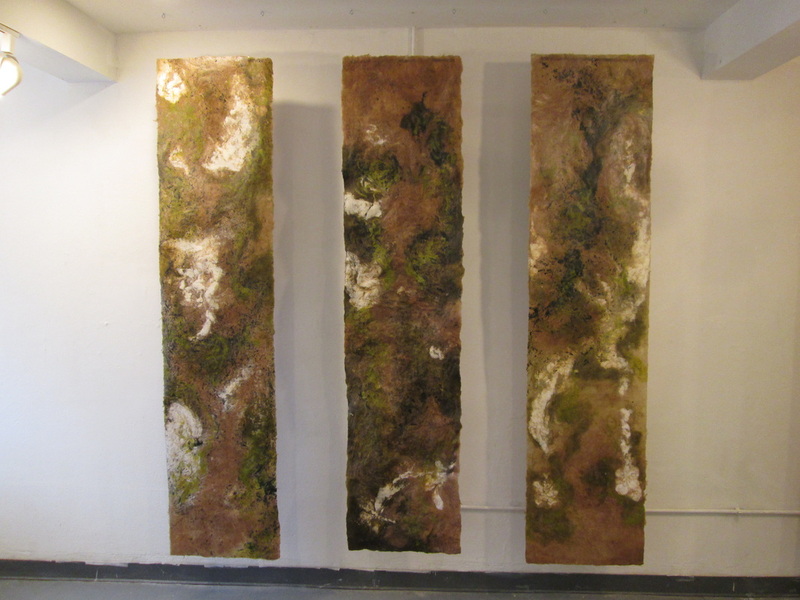 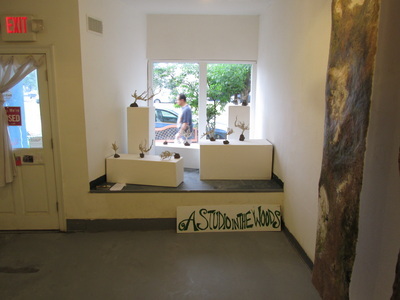 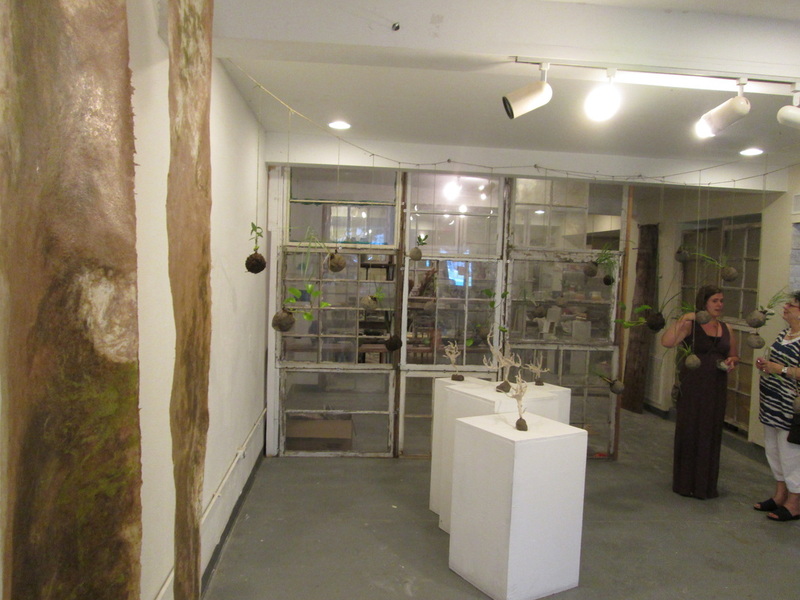 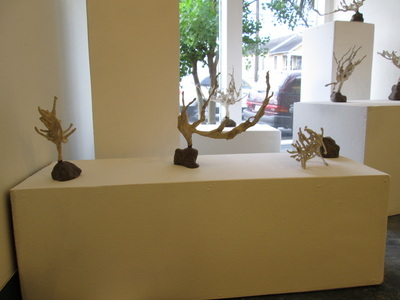 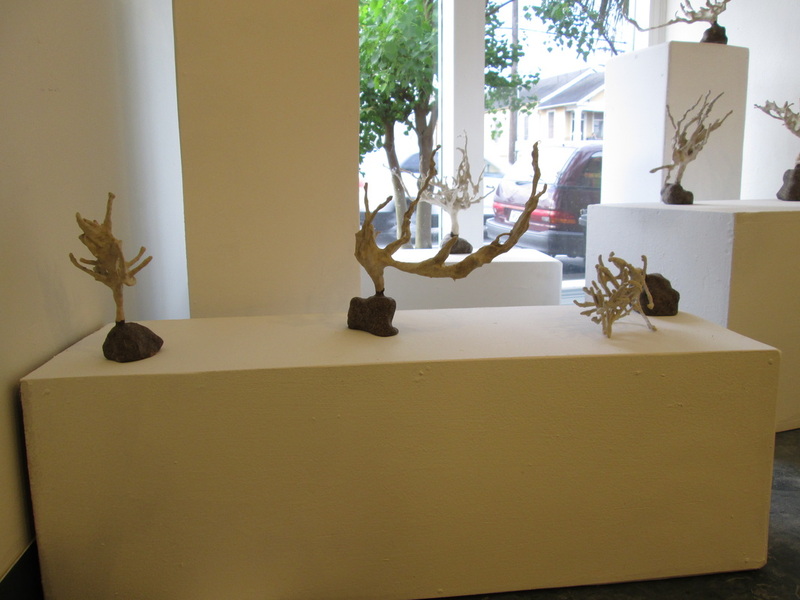 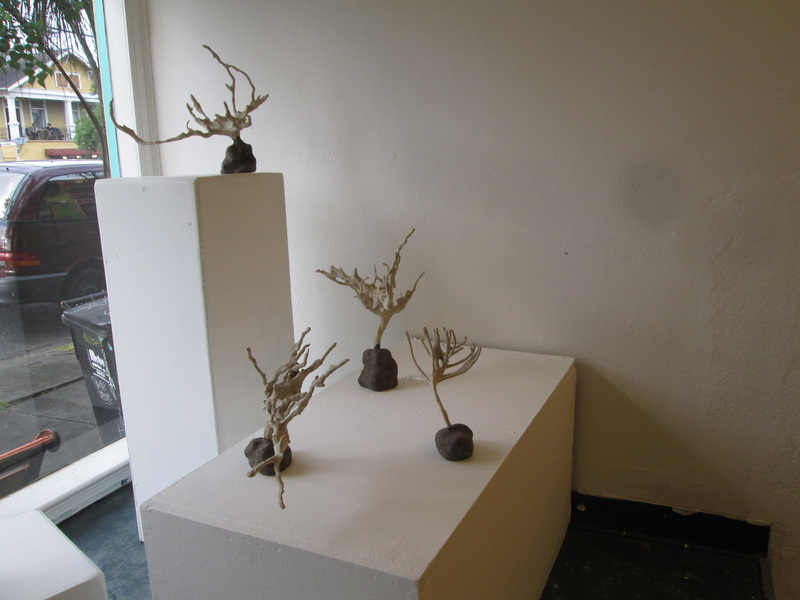 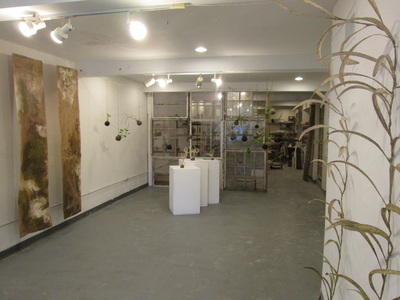 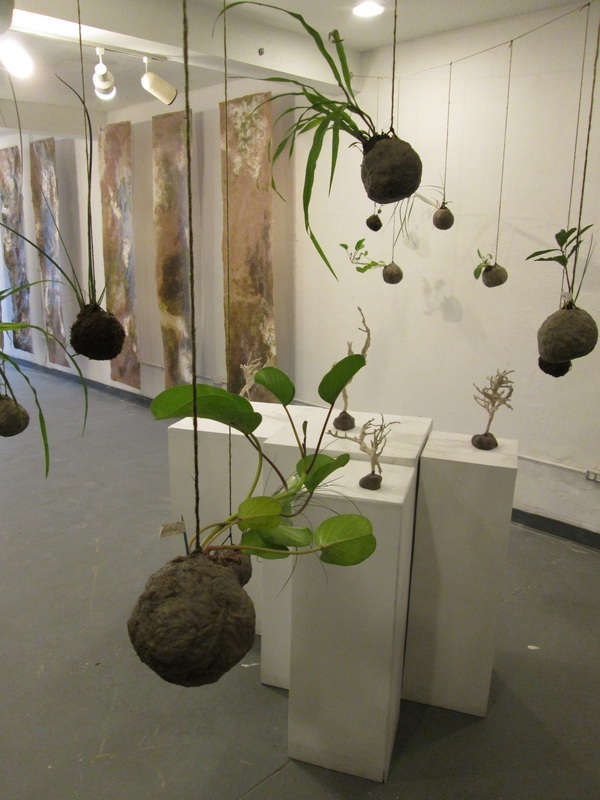 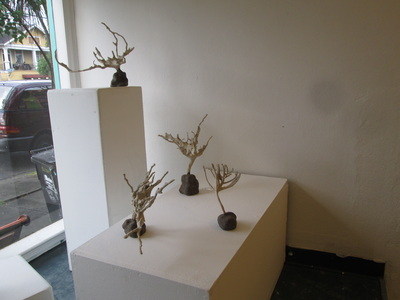 An installation of sculpture and pulp paintings by Megan Singleton investigating the native and invasive flora of Louisiana that clutch Louisiana between the fingers of their roots. 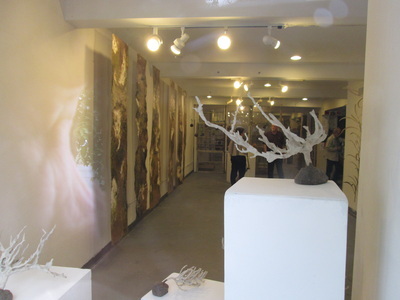 See the gallery of images from the exhibition below. 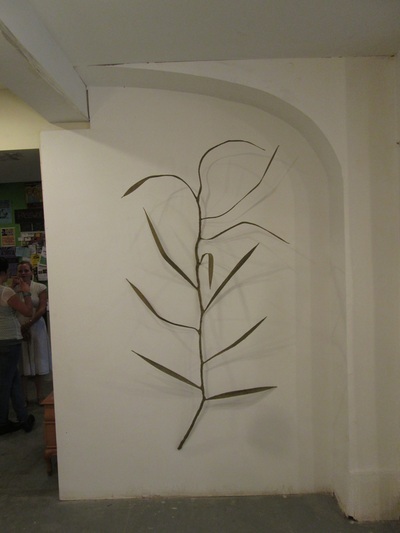 Caring for your native kokadame: Hang plant in full to partial sun and mist with water twice a day. 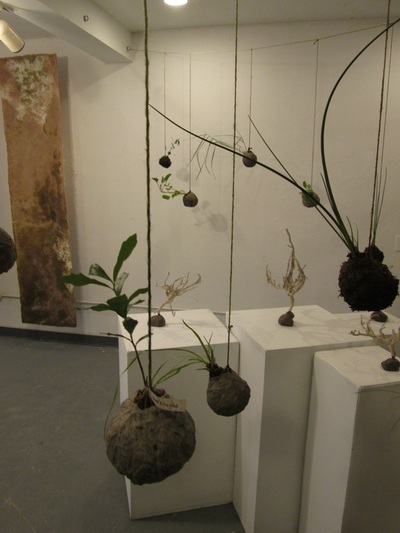 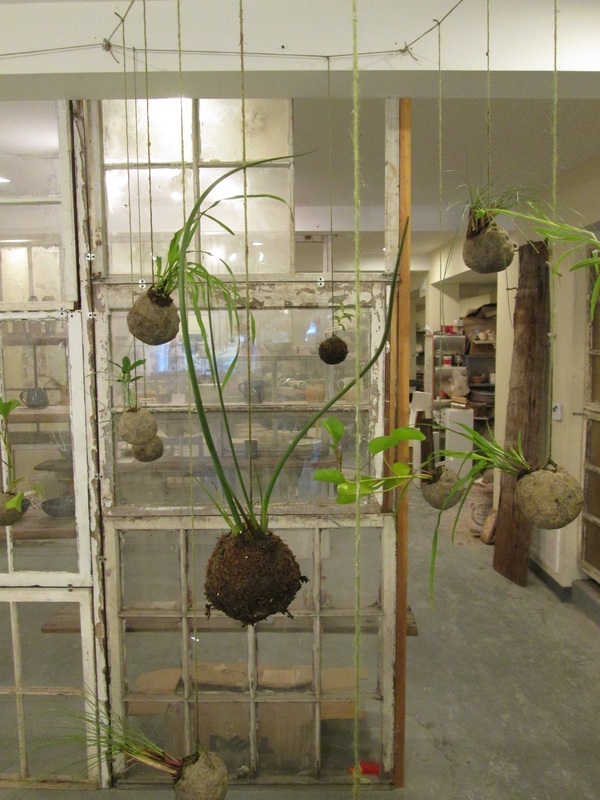 Kokedama balls may also be planted directly into the ground or into a pot.